Dunkin‘ is selling its first-ever double-filled donut for Valentine’s Day. Dunkin‘ may have dropped the „Donuts“ from its name, but the brand’s commitment to creating new donut flavors has stayed strong. This Valentine’s Day, Dunkin‘ will be selling its first-ever donut with two different fillings: the Cookie Dough and Brownie Batter Double-Filled Donut. 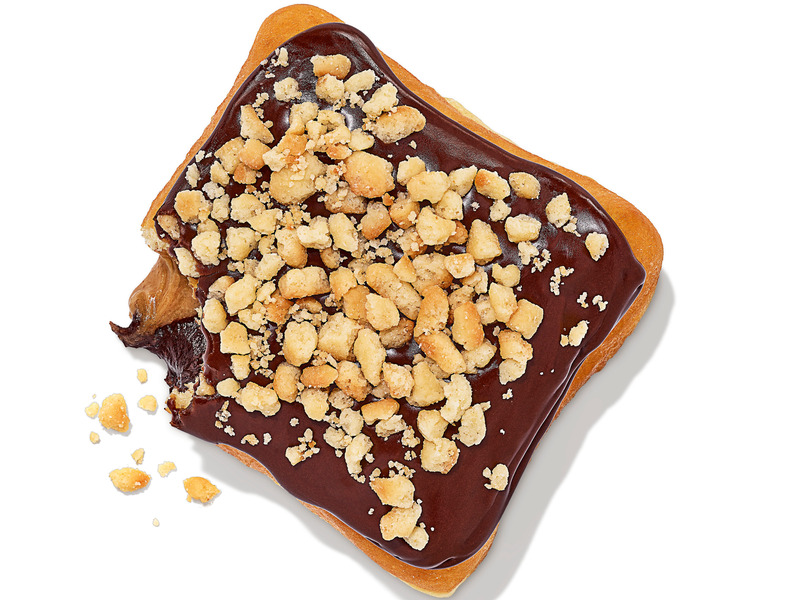 „Available for a limited time, this square-shaped specialty donut is perfect for sharing with your perfect pairing,“ the brand explained in a press release. The donut in question will have twice the regular filling with both brownie batter-flavored buttercream filling and cookie dough-flavored filling. It will also be iced with chocolate and sprinkled with crumbled pie topping. 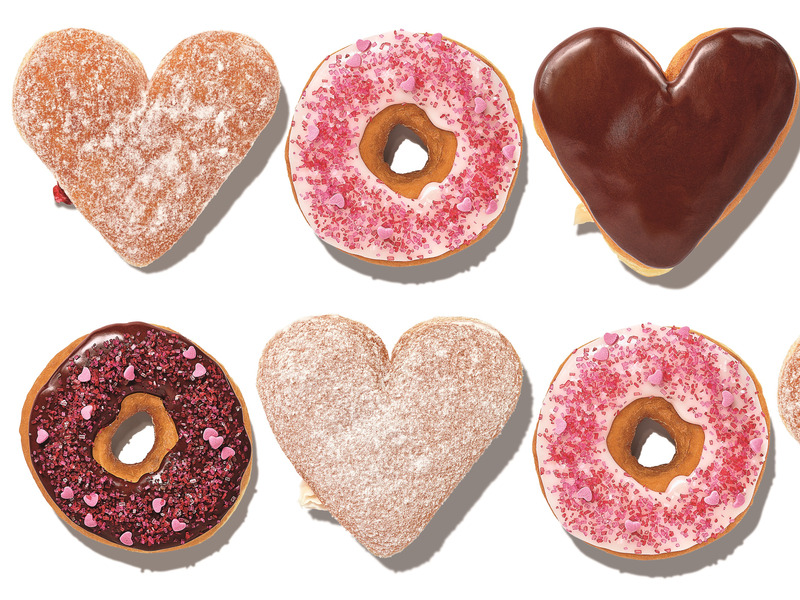 Dunkin‘ is also reviving its heart-shaped donuts in both Boston Kreme and Jelly flavors and unveiling Bling Sprinkles Donuts in Chocolate Bling Frosted, Strawberry Bling Frosted, and Vanilla Bling Frosted. The treats will likely be available until the end of February. And while enjoying your treats, you can also check out Dunkin’s rebranded logo. Earlier this year, the brand officially dropped the „Donuts“ part of their name and the new packaging and branding has been introduced in 2019.